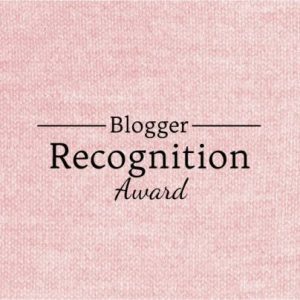 On Thursday Elizabeth O'Neal nominated me for a Blogger Recognition Award. Beyond thanking her, I've been told that there are rules to follow after accepting one's nomination. • Thank the blogger who nominated me. • Write a post to show the award. • Write a brief story on how my blog started. • Share two pieces of advice for new bloggers. • Nominate seven other bloggers for the award. • Comment on each of those seven blogs to let them know they have been nominated and provide a link to this post. I thanked Elizabeth once already, but you can never say thank you enough. So thank you again, Elizabeth! My blog began after I attended a class through the California Genealogical Society in 2011. Craig Siulinski, who has been blogging for several years about his family, encouraged everyone to jump in the pool. I had been thinking about starting a blog for a while, and his class was the extra push I needed. You can read my introductory post from January 15, 2011 here. 1. Commit yourself to writing on a schedule and put it on your calendar. It's really easy to tell yourself, "Oh, I'll get to that tomorrow." Then you'll find that it's been one, two, three, or even more weeks since your last post. And if you don't write regularly, people will think your blog isn't active and move on to others that are. Since I'm coming along later in the chain, several of the blogs I read have already been mentioned. Nothing in the rules says I can't renominate someone, but I bypassed some of the bloggers I read regularly in order to highlight ones I haven't seen mentioned.